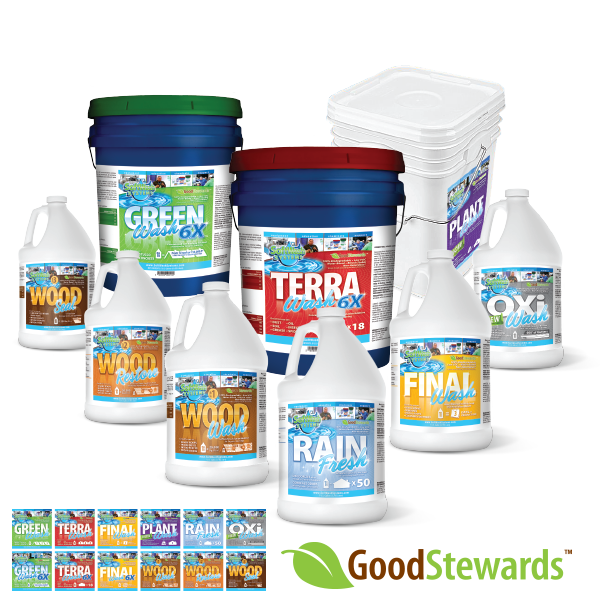 Green Wash is a soft washing additive for use on organic staining such as mold, mildew, bacteria and algae growth. 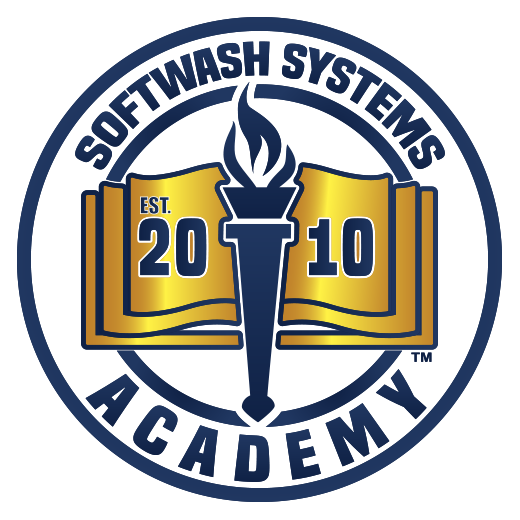 Green Wash is meant to be used in conjunction with bleach and water to make a soft washing solution that can be applied to most surfaces. Green Wash surfactant contains a catalyst that interacts with the bleach allowing the cleaning effect to be greater at a lower overall concentration. 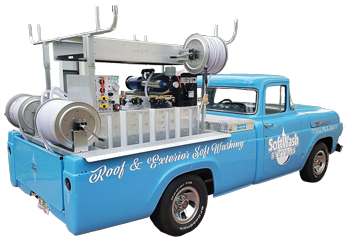 Green Wash can be applied at various strengths – stronger for cleaning heavily stained roofing surfaces, and lighter dilution ratios for lightly soiled exterior surfaces such as vinyl siding, awnings, and stucco. You can adjust the amount of Green Wash, Bleach, and Water for your optimal cleaning solution. As always, our chemical dilutions start out at 1 ounce per gallon of mixture and you can adjust up to 4 ounces per gallon of mixture for the strongest cleaning ratio. All measurements based on 10% strength SH to make 100 gallons of solution. This below mixing ratio is used for cleaning both organic and non-organic staining at the same time. PRECAUCIÓN: Si no puede leer en ingles, pregunte a su supervisor sobre las instrucciones de uso appropriadas antes de trabajar con este producto. Do not get in eyes, on skin or clothing. Avoid breathing spray mist. Use only with adequate ventilation. Wash thoroughly after handling. Protective gloves and glasses should be worn when using this and all cleaning products. Keep container closed when not in use. FIRST AID: In case of contact, immediately flush eyes or skin with plenty of water for at least 15 minutes. Wash clothing before reuse and thoroughly clean contaminated shoes. If inhaled, remove to fresh air. If swallowed, do not induce vomiting; if unconscious or in convulsion, take to hospital or physician.PRODUCT/CONTAINER DISPOSAL: Dispose of used/unwanted product according to state and local regulations. Offer container for recycling.